Edinburgh is just a short flight from London, so this could the fastest way to reach it and really maximise your time in the city. But, if you factor in the travel time to and from the airport, plus security etc, it could turn into more like a four hour journey. Plus, there’s nothing quite like arriving into Waverley Station by train and being greeted by the spectacular views of Edinburgh city centre. Fly – Flights generally take 1.5 hours from London and start from as little as £17 one way. 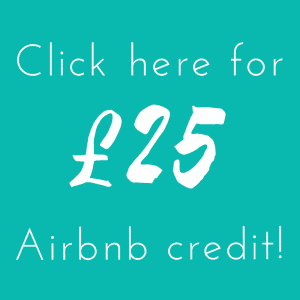 Search on sites like Skyscanner or Lastminute.com to get the best deal. Train – Direct trains take about 4.5 hours from London Kings Cross, and its a very comfy, scenic journey. Advance tickets start from £20 – check prices now. Bus – If you’re really on a budget, Megabus have both day and overnight buses that take around 9 hours and start from as little as £1. Check prices now. Most recently, I stayed at the newly opened Courtyard Edinburgh Hotel and absolutely loved it. I’ll definitely be staying there next time I visit. The fantastic location, just five minute’s walk from Prince’s Street and most of the major New Town attractions, makes this the ideal base from which to explore Edinburgh. It’s a gorgeous property in a recently renovated Georgian terrace, which feels like quintessential Edinburgh. Think neat grey stone and slate roofs. Once home to Robert Stevenson, the famous Scottish lighthouse engineer, the building is steeped in history. But the interior is sleek and contemporary, while lots of little touches throw back to the building’s heritage. What really made the stay special was the new Lantern Room restaurant and bar, where I was lucky enough to celebrate the hotel’s launch party. A cool bar with great vibes and fab cocktails, there’s also a really nice terrace – complete with outdoor heaters and tartan blankets to keep you warm and cosy over a nice glass of hot ginger beer! Spoon – A cool cafe/bistro with diverse seasonal menus, Spoon shows that good food and a fine dining experience need not cost the earth. Edinburgh Larder – The focus of this friendly foodie haven is local Scottish produce, and it’s a real favourite with locals. Bon Vivant – The menu of Scottish tapas changes daily at this award winning restaurant bar, where dishes start from just £2. Haggis bon bons are a highlight! Devil’s Advocate – A cosy restaurant in an old Victorian pump house in Advocate’s Close. With award-winning bartenders and over 300 whiskies to choose from, plus exceptionally tasty seasonal cocktail and food menus. Timberyard – A family-run business supplied by an extended team of local growers, breeders, producers, and foragers. As local as local food comes! Cellar Door – An attractive, modern restaurant serving up a modern twist on traditional Scottish cuisine. Don’t miss the haggis spring rolls! Steak – Probably the best steak in Edinburgh! Scottish beef served up in a hip, industrial-chic style warehouse. Bramble Bar – An understated and seriously cool cocktail bar that ranks among the best bars in the world. Villager – Possibly the best cocktails in Edinburgh, many of them highly Instagrammable! Panda and Sons – A hidden bar with a retro barbershop theme. You’ll find this Prohibition-era-style speakeasy behind a fake bookshelf in the Panda and Sons Barbershop. And that’s all I’m saying! Heads and Tales Gin Bar – Part of the Edinburgh Gin distillery, this lively local favourite is known for its innovative gin cocktails. CC Blooms – the biggest gay bar in the city! Check out this fab gay travel guide to Edinburgh for loads more gay bar recommendations! “But then this is Edinburgh, and we have a wealth of stories that sound so ridiculous, so crazy, so unbelievable, so gruesome or just absurd – but legal, medical and religious documents have all certified their truth. And that makes Edinburgh a really unique and strange city.” – Calumn Lykan, Storyteller and tour guide. Ghost tours are two-a-penny in Edinburgh, which is by all accounts one of the most haunted cities in the UK. With it’s dark and gory history, that’s hardly a surprise! The best ones feature an Edinburgh vaults tour. These supposedly haunted vaults lie underground beneath the Old Town, and are filled with spooky corners and even spookier stories. 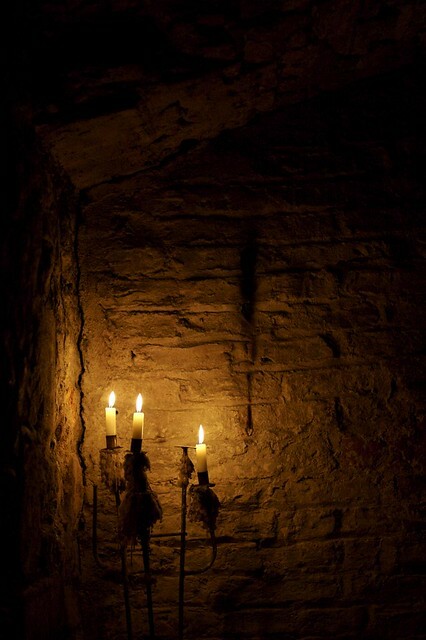 For dramatic stories of body snatchers, murder, and gruesome torture techniques, you can’t beat the ghost tours from Mercat Tours. This is one of the best ways Funny, fascinating – and then absolutely terrifying. Read about my experiences on the tour here! Inside the Blair Street Vaults! Calum Lykan is a professional storyteller, connecting visitors to the Royal Mile with his tales of the people gone before. His stories about the dark, dank, and depressing history of Edinburgh’s Old Town are brilliantly told and hilariously entertaining. This is a whole new way to look at the city, and far more fun than a fact-filled history tour. I had an absolute blast on his tour and it’s still one of the best city tours I’ve ever done! Update 17/04/17 – I’m told that Calum is no longer running tours in Edinburgh these days, but he can sometimes can be found at the Scottish Storytelling centre. Plus this is a great place to discover other local storytellers. Check their page to see what’s on. No trip to Edinburgh is complete without a bit of a tipple! Whisky is the drink most people associate with Scotland, but there aren’t any distilleries in the city itself since most whisky is made in the Highlands. At the Scotch Whisky Experience, visitors can tour a virtual distillery, get a glimpse of the world’s largest private whisky collection, and enjoy a tasting. There are a few whisky distilleries not far from Edinburgh so take a look at those if you fancy seeing the real thing. And if you have a bit more time, you can always take a full day Highland Whisky Tour (£35 per adult). 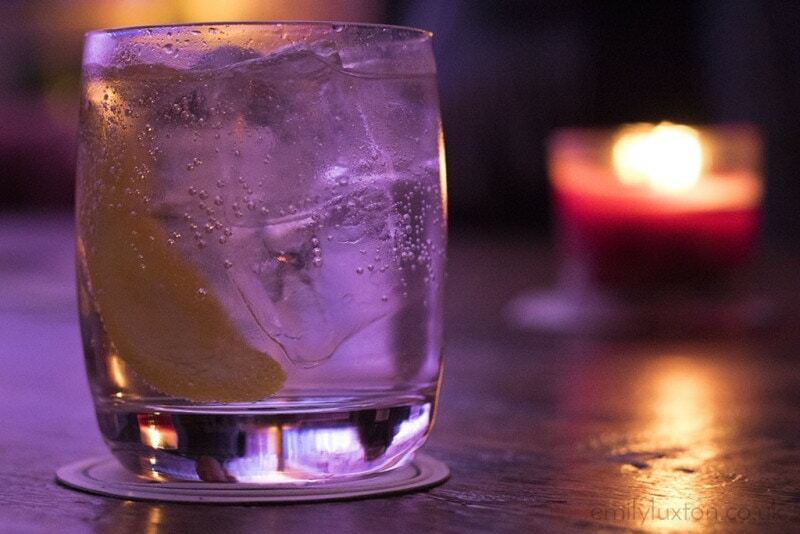 If whisky’s not really your bag, what about gin? Scotland was one of the forerunners of the gin revival, or ginnaissance, of recent years. 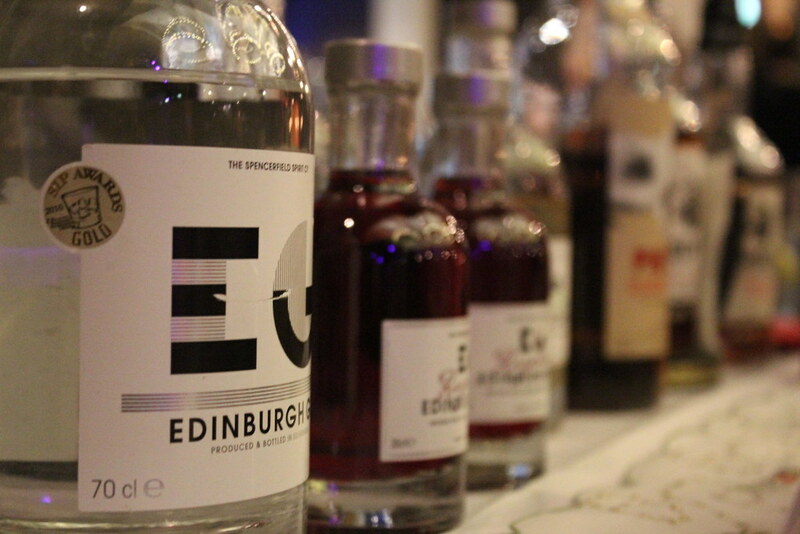 And Edinburgh is home to not one but two excellent gin distilleries. Both offer tours and tastings where you can find out all about the horrible history behind Mother’s Ruin! Edinburgh Gin tour and tasting. Edinburgh Gin is perhaps the better known of the two, where the Gin Discovery tour offers a funny take on the gloomy history of gin. But indie distillery Pickering’s Gin is taking the gin scene by storm and has picked up numerous awards already. Run out of a converted veterinary school, the distillery tour at Pickering’s is an interesting glimpse into small scale gin production. 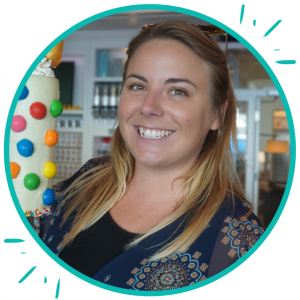 Things to do in Edinburgh – Scottish bloggers Two Scots Abroad have rounded up the 70 best things to do in Edinburgh. See how many you can do in a weekend! Hogmanay – Thinking of heading to Edinburgh for one of the biggest NYE parties in the UK? Check out this awesome Local’s Guide to Hogmanay. Alternative Edinburgh – Get the low down on some of the more unusual things to do in the Scottish capital in this fun round up! Festivals – Want to head to one of Edinburgh’s Festivals this year? Check out my experiences and find out about the festivals you never knew existed in this post. Plus visit Edinburgh Festival City for dates, events listings, and other useful info. Royal Edimburgh Military Tattoo – all about this epic August spectacle and why you NEED to add it to your bucket list! Oh, and if you’re heading to Edinburgh during August, check out my guide to Edinburgh Fringe for some top tips! 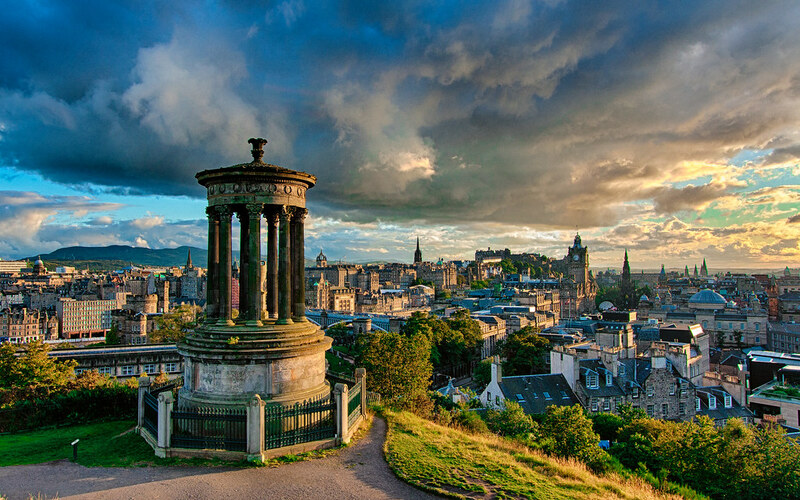 Do you have any great tips for getting the most from a weekend in Edinburgh? Let us know how you maximise your time there, or your favourite things to do in the city! Scroll down to leave a comment! Beach Palace Cancun – The Perfect Escape for a Girly Getaway! Awwww I really enjoyed reading this, So stunning pictures you captured in your post. Thank you so much for sharing it. There’s a bar called Panda and Sons? Combined with the pandas in the zoo, these are the only reasons I need to visit again! Haha I don’t think it’s got much to do with pandas I’m afraid! However let’s investigate together and we’ll at least get a cocktail out of it?! Thank you so much! I love Edinburgh and I’ve amassed a ton of great tips from my trips there! its a great city and wow this is really comprehensive. Just remember to take a jacket it’s COLD! Not sure about your claim that flying is the fastest way to reach edinburgh once you factor in how long it takes to get out to a “London” airport, check in time, arrival time to collect bags, offload plane and get out of the airport and then transfer to the city centre. If you’re coming from central London the train is a much easier and probably quicker option! Ah such a good point! My last trip I flew from Southampton airport which is the easiest experience in the world, so I’d sort of forgotten that it’s different when you fly from London. I’ve updated the post because you’re totally right. Flying seems quicker but of course the security and travel time etc slows it all down. And the train is definitely my favourite way to travel to Edinburgh – the arrival is so nice! Calum Lykan is amazing but isn’t running tours anymore. Still does stints of storytelling (he was host at Scottish Storytelling Centre’s April Cafe Voices last week) but has moved to Canada. Our loss is their gain!! Oh no really? I shall have to update my posts – what a shame!! 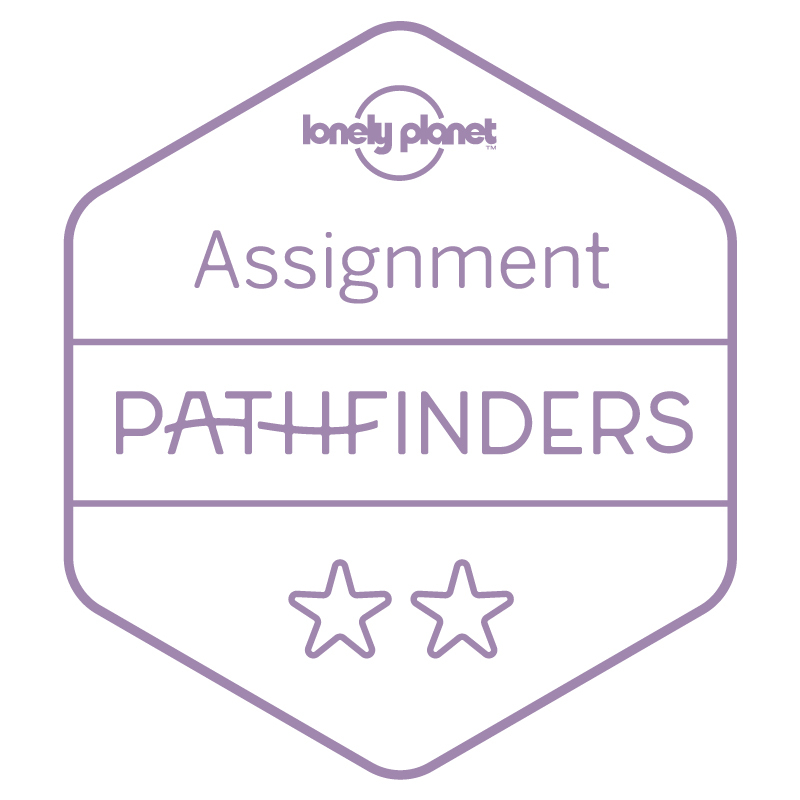 Do you know any other local guides who are almost as good? I’d love to recommend someone else!